Jordan has received around 1.5 million Syrian refugees. While the local school system is open to the children, many schools are often overcrowded and costly. Syrian children who were forced to quit school because of the war have also fallen behind and need extra support. Many have suffered severe setbacks to their education. 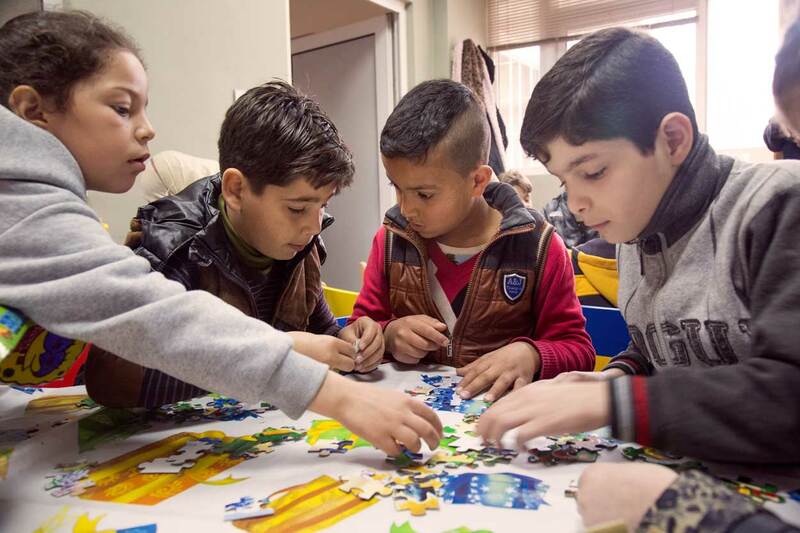 Catholic Relief Services, through Caritas Jordan, provide opportunities for Syrian refugee children including kindergarten classes, catch-up classes, remedial classes and child-friendly spaces. They also provide educational support, psychosocial activities, counselling, and interventions to meet the emotional and mental health needs of refugee children. More than 16,700 Syrian refugee children are benefiting from the educational programme in Amman and other locations in Jordan. There are many challenges. In Jordan refugees are looking to build a different kind of future but jobs are scarce and refugee children often struggle to be accepted at school or fall behind because they are traumatized by the violence they have seen or what they left behind. Wael, 11, and his family fled their home in Damascus and moved to Jordan four years ago. After missing a year of school because of the war Wael began attending Caritas’ catchup sessions and now attends the Caritas remedial school. He’s already making plans. 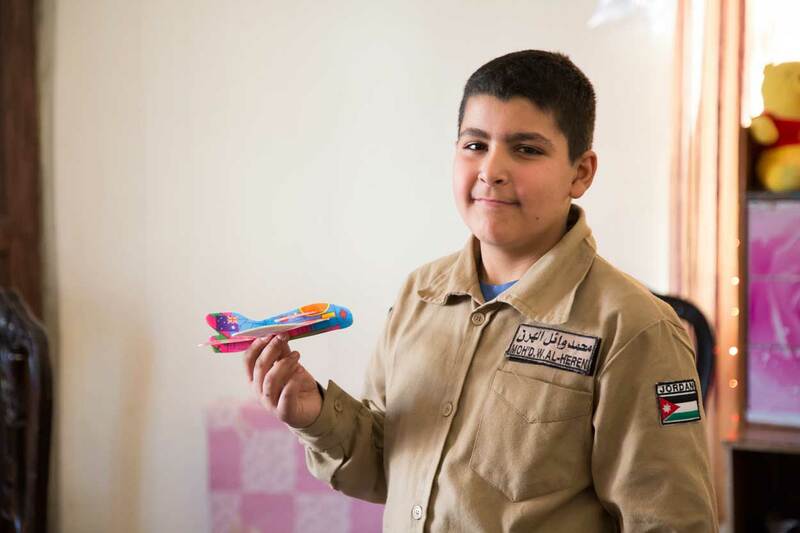 “I want to be a pilot so I can see the clouds.” Wael is one of 7,750 children who benefit from the Education and Protection for Syrian Refugees programme run by Catholic Relief Services’ partner Caritas Jordan. 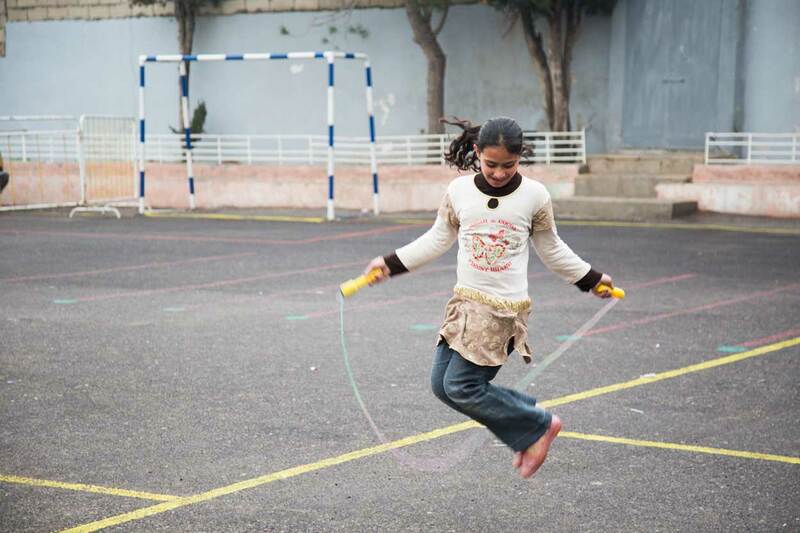 Rediscovering the joy of playing during recess at the Latin School of Ashrafieh, in Amman, Jordan. Caritas Jordan offers remedial classes for refugee children at this school in the afternoons from Monday to Wednesday. 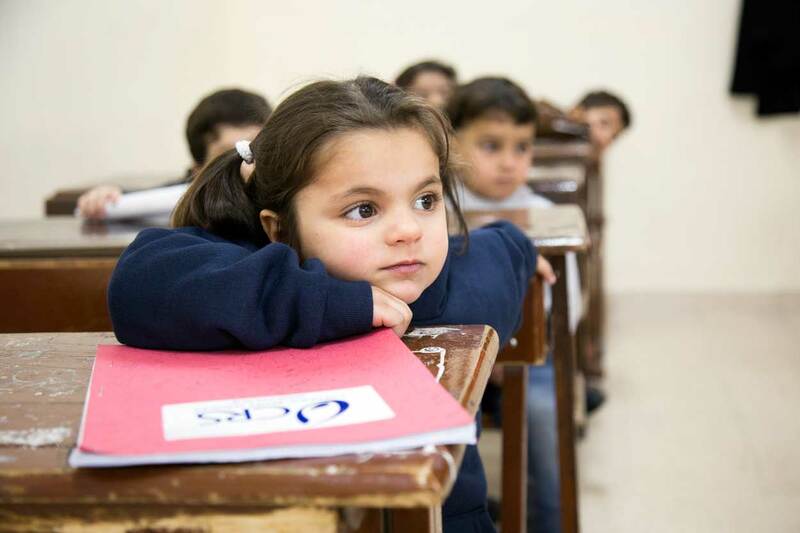 Rakya, 5, is a student at the Latin School of Ashrafieh, in Amman, Jordan. She is from Syria and likes to study mathematics and play on her iPad. Children play with puzzles and other games at the friendly space run by Caritas Jordan in downtown Amman. The project has a total of 7750 direct beneficiaries. 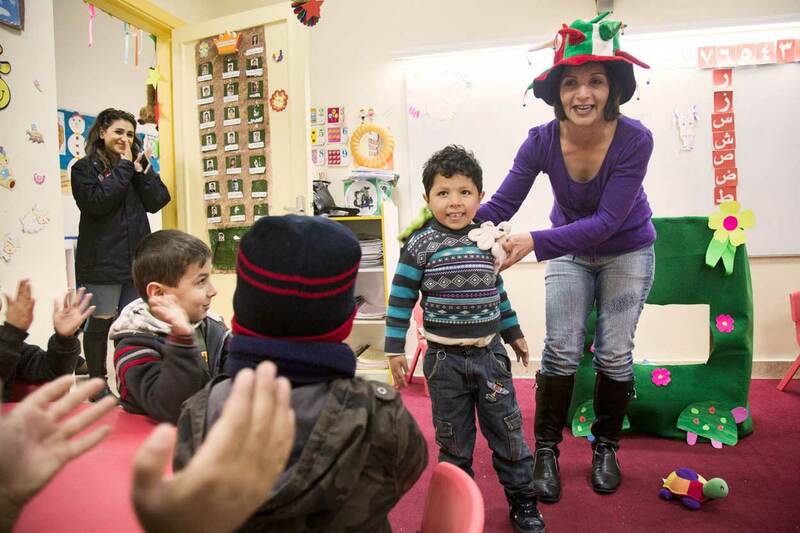 There is plenty of time for fun for children who attend kindergarten classes at the Latin School of Fuheis in Amman, Jordan. Children arrive at the Latin School of Ashrafieh, in Amman, Jordan. 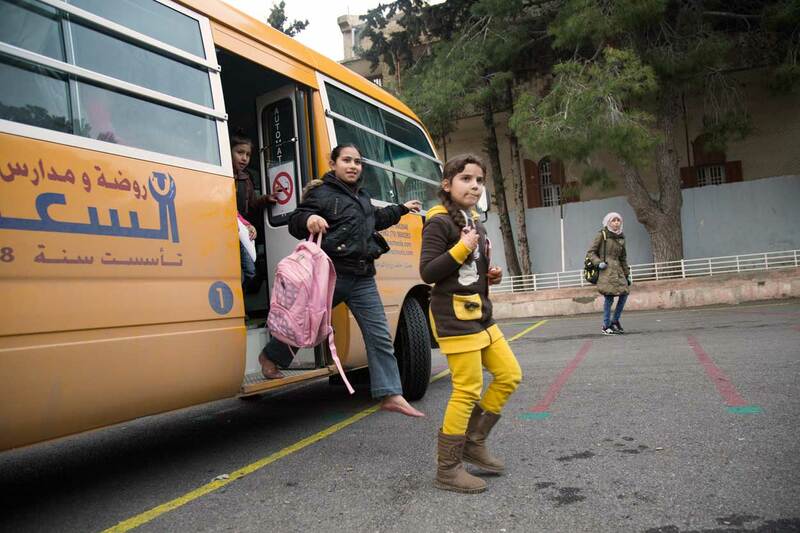 School transport is one of the services provided by Caritas Jordan. Young student eager to participate in class at the Latin School of Ashrafieh, in Amman, Jordan. At this school, Caritas Jordan offers afternoon classes to refugee children from Monday through Wednesday. Children enjoy stories and drawing at the child friendly space run by Caritas Jordan in Amman. 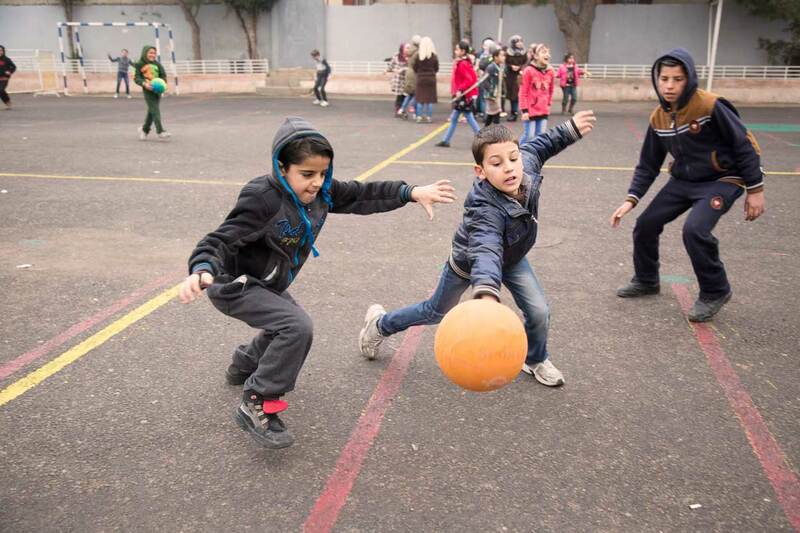 Students play football during recess at the Latin School of Ashrafieh, in Amman, Jordan. Caritas Jordan offers afternoon remedial classes to refugee children at this school from Monday through Wednesday. The remedial classes are intensive classes for children aged from 6 to 12 who are enrolled into public schools and at risk of dropping out due to the difficult curriculum in Jordan. The goal of these classes is to empower students and encourage them to continue their education.